Orandas are cold water fish. They can grow up to 20 cm / 8 inches. 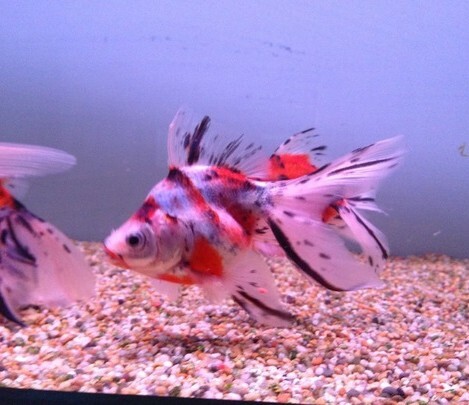 They live in water parameters of PH range 6.5-7.5, and temperatures of 17-24 Celsius / 65-75 °F. 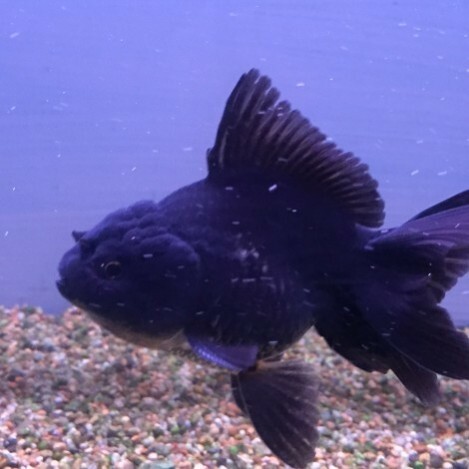 Orandas are a peaceful cold water fish. They will mix well in small groups, or be fine on there own. 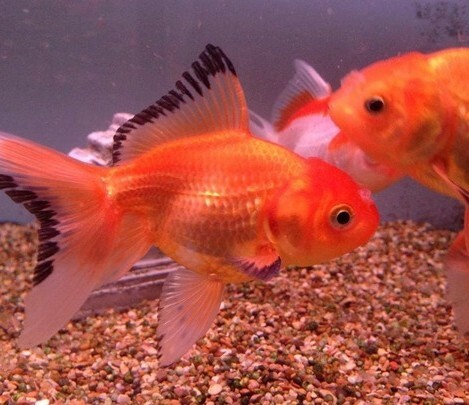 They are a breed of goldfish that is characterized by the prominent bubble like hood on there head. The head growth or hood is a prominent growth on the top of there head or sometimes may encase the whole head except for the eyes and mouth. 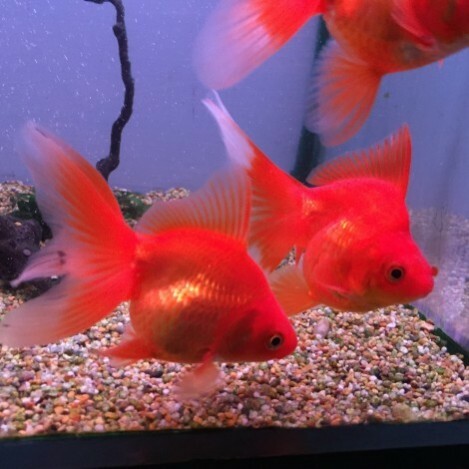 There are a few different colours available, like the red orandas, blue orandas, choclolate orandas, calico oranda and the more well known red cap orandas. 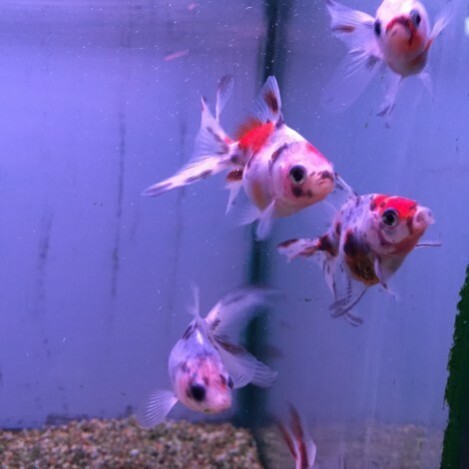 They are greedy so will eat any food you put in the tank. They do need a food that will fit in there mouths, try not to feed any food that is to big for them, as they can get food stuck in there throats. Feeding them on the surface of the water can cause stomach problems, where they get air trapped in there stomach. This will cause them to have a bloated stomach and float upside down. Sinking the food can be better for them. They will eat flake, small pellets, and granular foods, plus a treat of freeze dried, frozen or live foods is always good. 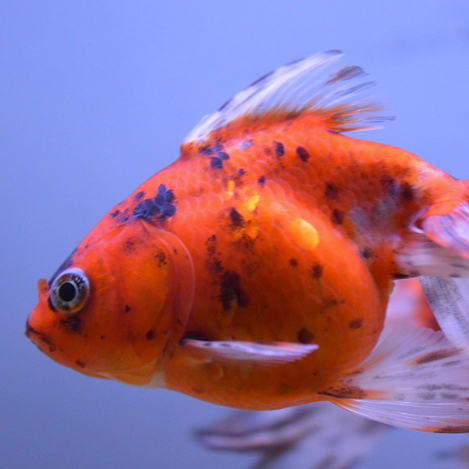 Oranda will eat anything from flake, pellets, and sticks. With a treat of live and frozen foods. Feed once a day at the most.